for My New Audi A1 Sportback? 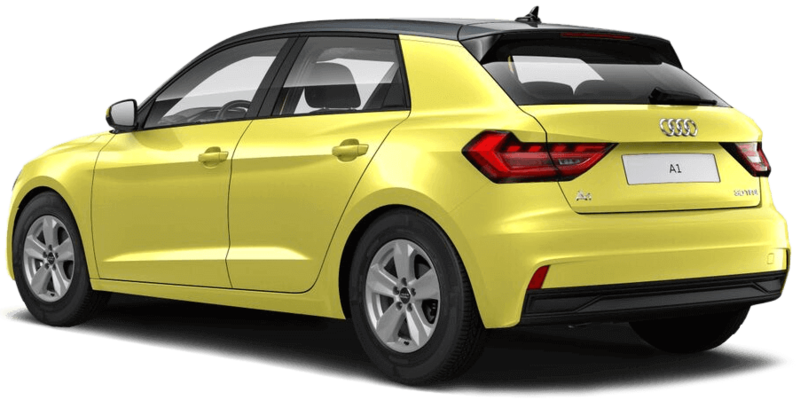 Audi’s smallest car to date, the Audi A1, is an attractive buy for anyone seeking the reliability, good looks and build quality of an Audi, all wrapped up in a manageable package. Throw in the added practicality of a hatchback boot, and you’ll find that the Audi A1 Sportback is virtually unbeatable in its class. It may be compact, but the interior of the Audi A1 Sportback is anything but a scaled-down version of what you’d expect from one of the UK’s most popular manufacturers. Make it your own with a choice of superb body and roof colours, and voila... the perfect car! Pick a colour to suit your style and personality, there’s plenty to go around. Whether you want to be practical or frivolous; conservative or high-impact, there’s an option for you. for My Audi A1 Sportback? Named after a tropical island in Malaysia, Tioman Green offers the same serenity and nature for your Audi A1 Sportback. This blue-green echos the tranquil waters that surround the tropical paradise, leaving you feeling calm and collected as you go about your day. Yoga anyone? Another colour that reflects your inner beauty, Turbo Blue is like a little piece of sky - perfect for the driver who’s willing to try anything once. It portrays optimism and honesty, as well as being a sign that you can keep your mind balanced in your Audi A1 Sportback, rain or shine. Go for Manhattan Grey to let everyone know that you didn’t get where you are today by faking it. You think that black is too basic for your Audi A1 Sportback, silver is for show-offs, and there’s no smoke and mirrors where you’re concerned, just good, old-fashioned hard work. If you like your cars the same as your coffee, this strong and dark Firmament Blue could be for your Audi A1 Sportback - sweetened up with a touch of metallic. Always the bigger person, you’re a go-getter but happy to compromise when big decisions call for it. Simple and pure, a cool, crisp Glacier White Audi A1 Sportback is all about the car and your love of an uncomplicated life. What could be more perfect? How about a metallic sheen to match that sparkle in your eyes - we know you can let your hair down when you want to. As the most popular colour on our roads, you can’t go wrong with a Mythos Black Audi A1 Sportback. It oozes strong and powerful, classic sophistication. You like to be top of the heap and, more often than not, that’s where you’ll be found, leading by example as you go. 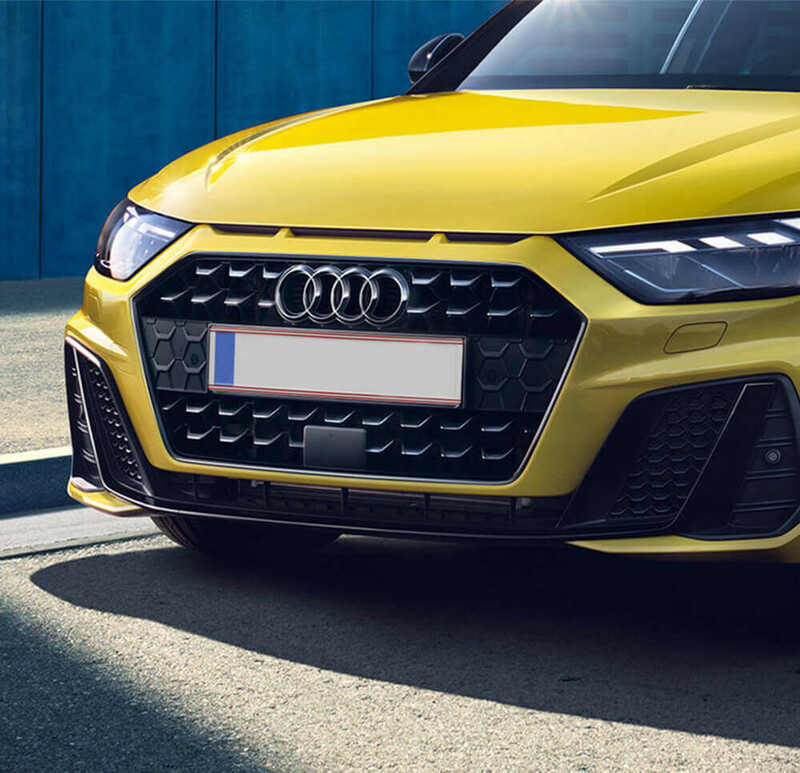 You’ll brighten up the roads with this striking Python Yellow colour option for your Audi A1 Sportback, spreading a little happiness as you go. Your sense of humour and creative business mind make you top choice to join everyone’s team and the go-to designated driver. The dignified and mature choice for your Audi A1 Sportback is Chronos Grey. It sensibly hides dirt while the metallic finish adds a bit of glam. On the road, as in life, you have the experience to avoid obstacles before they make things difficult. Organisation is key! If you like to be surprised by your car, this is the paint effect you need for your Audi A1 Sportback. Pearlescent paint provides a different shade from every angle. For the most daring drivers, this devilish Misano Red shouts ambition and confidence. Throw in the pearl effect for good measure and you’ll get all the attention you crave. This is not a colour for the faint-hearted so step up your attitude to suit this fiery Audi A1 Sportback. The colour choicesdon’t stop at the driver’s door. Make your new Audi A1 Sportback stand out even more with a contrasting roof colour. A touch of Mythos Black or Manhattan Grey will make your Audi A1 Sportback even hotter. With a metallic contrast roof, you’ll benefit from a strong roofline as well as the body colour that allows you to express your personality. There’s no excuse not to be a little bit different! With so much choice, there’s even more reason for you to tailor make your new Audi A1 Sportback. Get yourself down to your nearest Swansway Group Audi dealership to get a closer look at all of these beautiful paint finishes. Your ideal car is closer than you think.